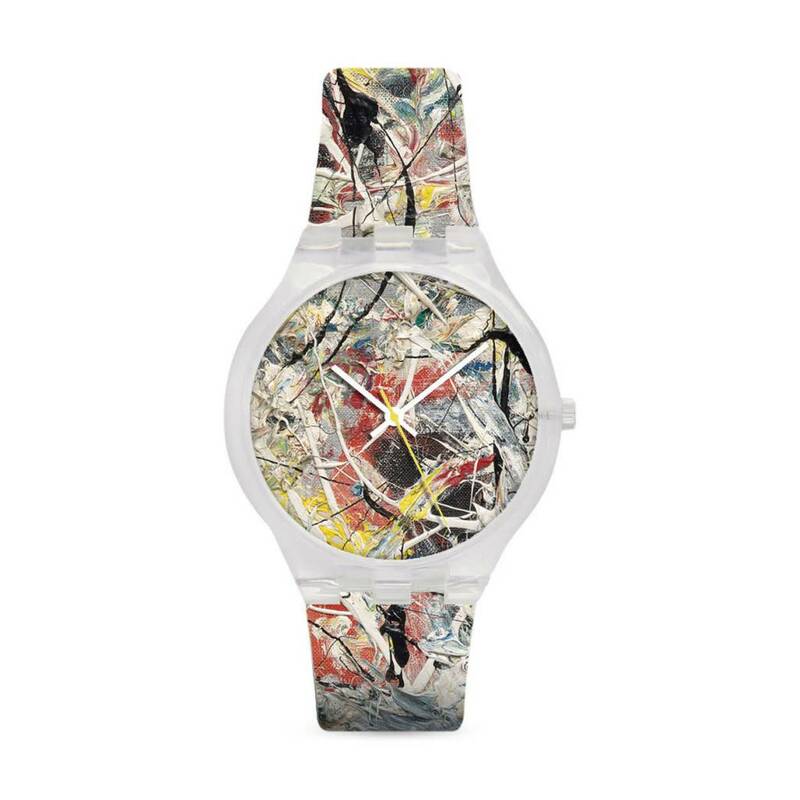 This watch features a detail from Jackson Pollock's painting White Light from 1954, which is featured in MoMA's collection. 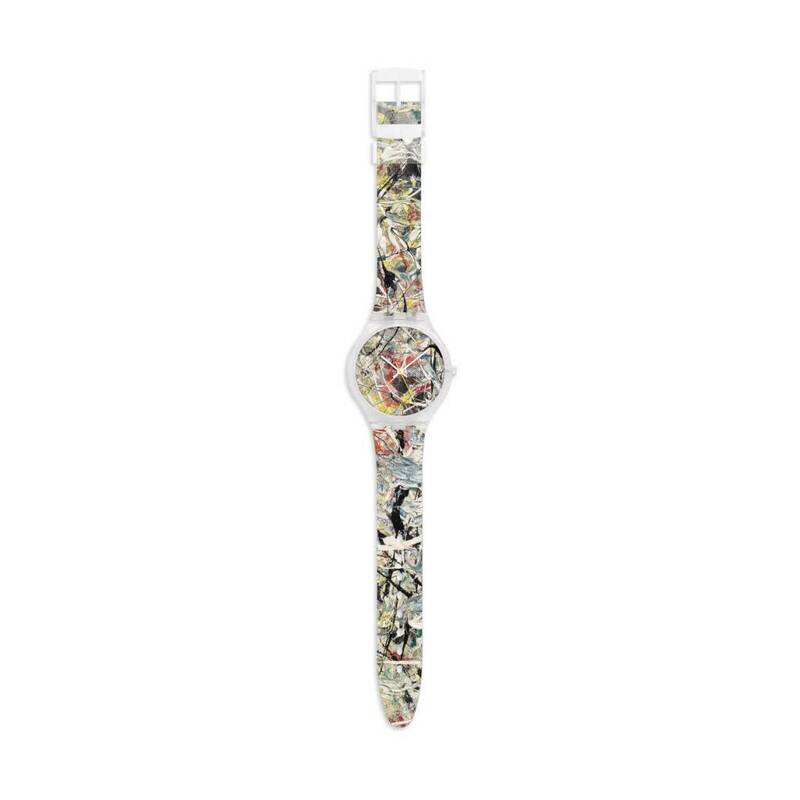 It's a simple and elegant timepiece that allows you to carry a piece of MoMA art on your arm every day. The water-resistant watch have Japanese high precision quartz movements and a two-year battery life. Size: Band: 9.25 "l Dial: 38mm diam.